The good news. Thankfully, there is a cure to Senioritis! Medical Specialist’s at the Center for Disease Control have found it throughout the countless amount of time and dedication they have spent studying it. The Federal Food and Drug Association (FDA) has approved and begun special protocol to analyze the studies. It is stated that the release date of the cure will be held on June 21st. While the name of the cure itself is to be announced, mainstream media sources have released enclosed information that it is comprised of three words with the initials: G.E.D. To stay updated, refresh your browser daily on the Darien High School website. The release date can potentially be modified impending on the weather. Until then, witnesses have gathered symptoms to keep watch for. First time slot takes place in Mama Carmela’s. It’s 7:30 and you have 10 minutes to get to class. 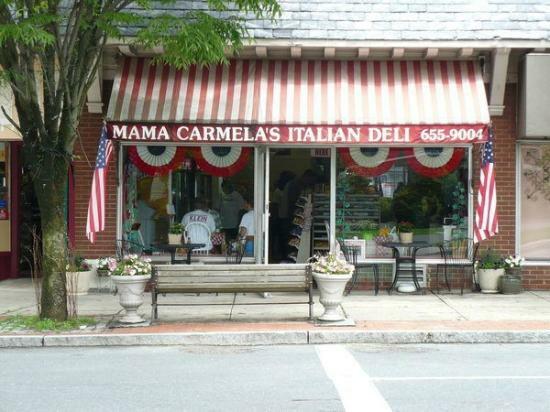 You’re driving and in huge letters bolded you see the “Mama Carmela’s Deli-verance of education” sign. You find parking, complain how the juniors took all of the spots, and begin your assignment to order a bacon egg and cheese. It’s an AP so afterwards you have to go to Darien Donut to get a coffee for full credit. The bell ringing for class is a loud beat drop. Your walking in the halls listening to your “Swag” playlist. The Harlem Shakes on and the beat drops. Your fellow classmates pop out of their classes to join you. Everyone clusters around the halls for four minutes. Next on your playlist is “Black Beetles”, your classmates go to their classes to participate in the mannequin challenge and sit in their seats. It really is awesome, you just have yet to figure out why they remain there for 48 minutes. The bathroom is a class. You realize that the beat drop in your song was the bell to dismiss students from their class and proceed on to the next one. You are rushing to your favorite class and its power hour! You open the door and greet your friends. 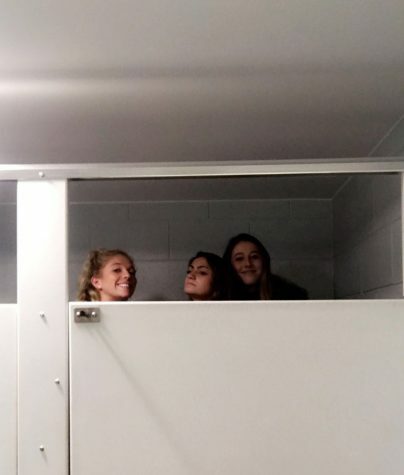 Your all hanging out and talking but it’s one of those gender segregation classes since once in a blue moon a freshman is brave enough to enter and go into one of those things called “stalls”. The essay due last week was optional. Half way through a Grey’s Anatomy episode, your Classroom app alerts you about that Essay that is “past due” What an inconvenience! You could have sworn it was optional. To avoid confrontation, you simply hit the “Submit and Turn In” button on a document for the completion points because teachers don’t actually go back and read them, do they? The school day starts when you get there. 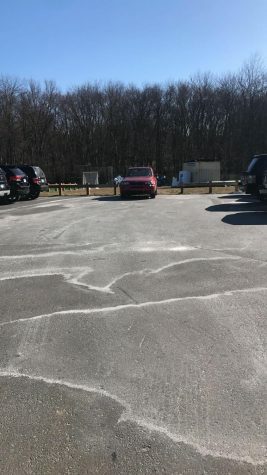 Finally, you found a parking spot after going around the loop three times. You walk in and per usual, go to the front desk and greet Jim while you write in the time you arrived to school. Automatically, the school day begins. The names of classmates before you on that list are just early. You get the color of the day piece of paper to hand to your teacher to let them know that you made it to school on time. Leaving to get Mama’s for lunch. 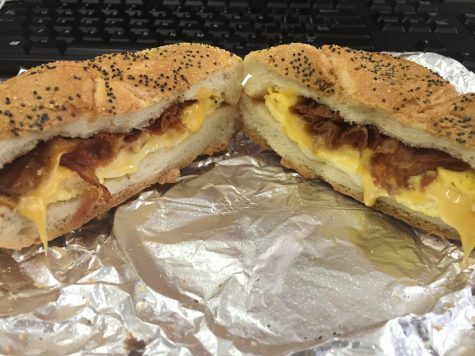 You have a free and you are craving another bacon egg and cheese from “Mamas”. It is just so cool that you can take your car to leave school to do what you need to do then come back and go to the next class on your schedule. It’s like a fun game to see who can get past the guys in the yellow shirts and blue vests. Of course, every game has its consequences. Instead of losing, you get something called a “Saturday”. The nurse’s office is your bedroom. You are exhausted from all the notes you probably did not take in your class. You come across a room, also called the nurse’s office with a couple of very sweet ladies to greet you before you enter “Room 1” or “Room 2” to take a nap in your bed. You see your mattress, pillow, and blanket waiting for you to lay down until your alarm goes off, also known as the bell. Gym is just misspelled for Jim on your schedule. It is crazy how after all these years the typo from “Gym” to “Jim” on the schedule has not been corrected yet. It is still one of your favorite times of the day where you get to go to the front desk and once again greet Jim and receive your daily lollipop. You’re not in college until your friends post it on Social Media. Your acceptance letter is intended to assure your friends they can post a picture of you on Instagram. In really small letters, the bottom of the letter states that it is a mandatory factor before depositing a check to your school.